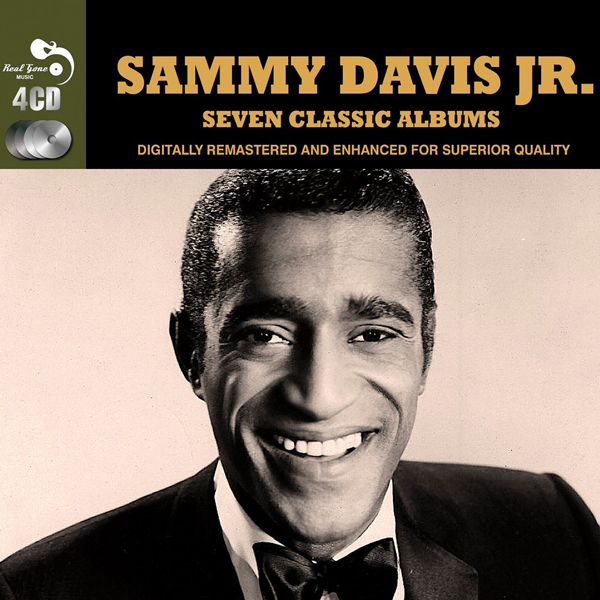 Sammy Davis, Jr. - All-Star Spectacular Starring Sammy Davis, Jr.
It’s been argued that in order to truly appreciate the genius of Sammy Davis, Jr. you had to see him perform live – that is, in an environment in which the whole was greater than the sum of the parts. 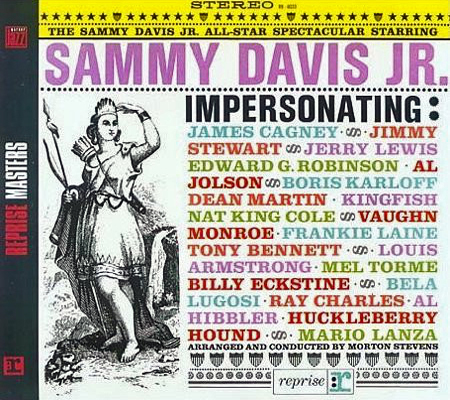 One of those individual parts was Sammy’s talent for impressions, a staple of his live act; yet another thing he could do to delight his audience when he was finished singing, or tapping, or playing instruments, or telling jokes. 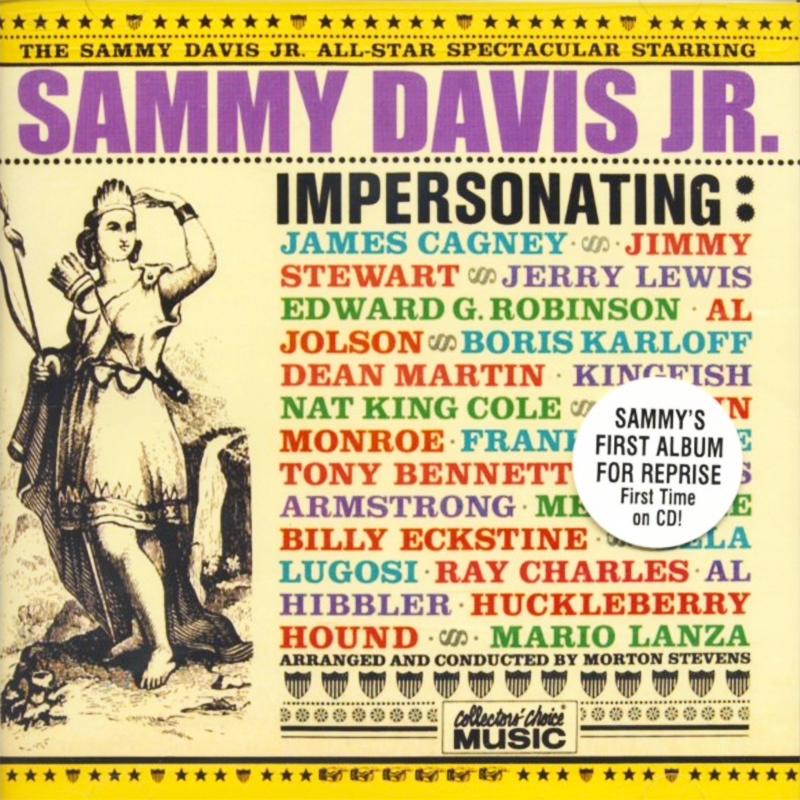 With The Sammy Davis, Jr. All-Star Spectacular, Reprise wanted to capture this lightning in a bottle. 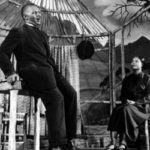 • “That Lucky Old Sun” – Frankie Laine, Ray Charles, and Al Hibbler. • “Be My Love” – Mario Lanza and Louis Armstrong (concluding as himself). • “Lulu’s Back In Town” – Mel Tormé and Jerry Lewis (concluding as himself). • “Stranger In Paradise” – Tony Bennett (somewhat unkindly over-emphasising an almost non-existent lisp) and Billy Eckstine. • “Ballerina” – Nat ‘King’ Cole and Vaughn Monroe (with some George ‘Kingfish’ Stevens and Huckleberry Hound thrown in). • “Sonny Boy” – Al Jolson, James Cagney, Bela Lugosi, Jimmy Stewart, Dean Martin, Edward G. Robinson, and Boris Karloff. 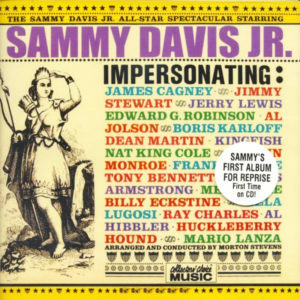 The album’s B-side is something of a hidden gem in Sammy’s Reprise catalogue: six of the swinging-est sides he ever laid on vinyl. 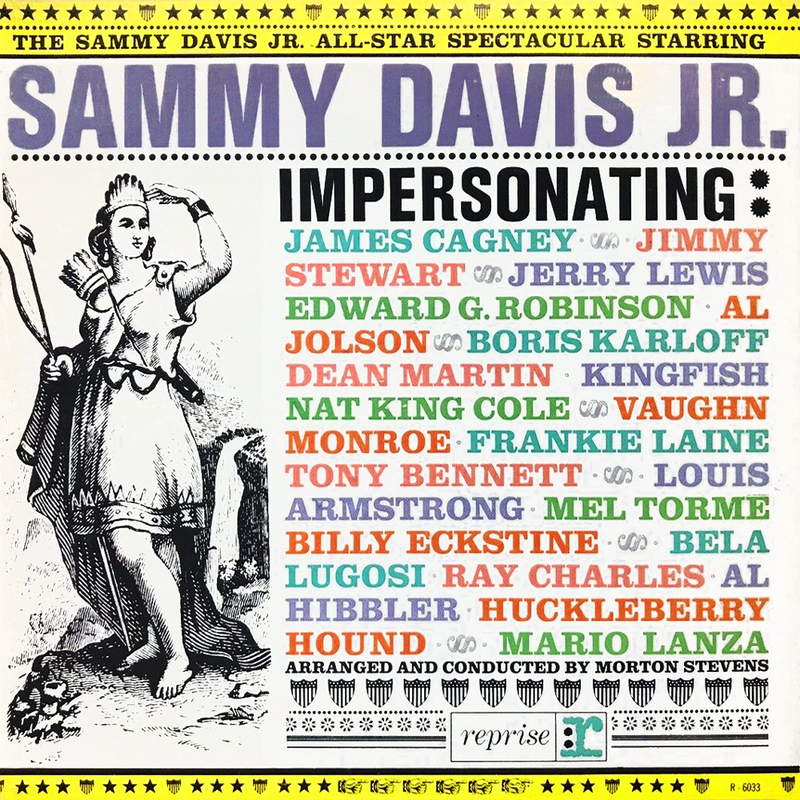 Arranger Morty Stevens (who also arranged the A-side) has Sammy explode out of the blocks with “I Married An Angel”, and things don’t get any less uptempo from there! You can catch your breath briefly on “If You Are But A Dream”, which is given a mambo-esque flavour by long-time Count Basie arranger Neal Hefti. With its two-mini-albums-in-one structure and Sammy goofing around with impressions and accents, The Sammy Davis, Jr. All-Star Spectacular is a unique and entertaining entry in the Sammy Davis, Jr. canon. Falling In Love Again: From the 1930 German movie Der blaue Engel, the original is titled “Ich bin von Kopf bis Fuß auf Liebe eingestellt”. While the song is most famously associated with Marlene Dietrich, it was Sammy’s wife-to-be May Britt who sang it in the 1959 American remake The Blue Angel (the film in which she caught Sammy’s eye). Britt’s version was also released on 45. 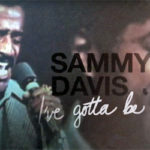 Here, Sammy sings the first half with just bass and cymbals before putting the foot on the accelerator. 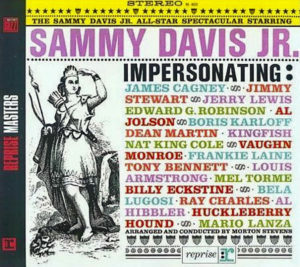 This is also the first recording to appear on LP arranged by Sammy’s pianist George Rhodes, who had recently replaced Morty Stevens as Sammy’s musical director on the road. Lulu’s Back In Town: Sammy tackles the rarely attempted ‘Mel Tormé impression’. 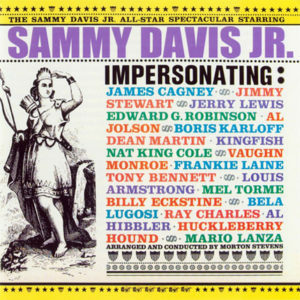 While the timbre of Sammy’s voice is nothing like Mel’s, Sammy nails some of Mel’s stylistic flourishes – such as on “Mr Otis regrets”. Sammy’s bang-on Jerry Lewis impression then follows (slightly over-the-top if such a thing is even possible when doing Jerry Lewis?) before closing the song in his own voice.